He’s otherwise known as Mister Kasey Chambers, but for others who love their music a little on the country side, a new Shane Nicholson album is a lovely new treat indeed. 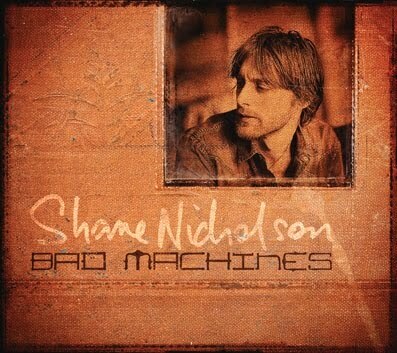 His new album ‘Bad Machines’ will drop at retail in late March and the first single from it (which also happens to be the title track) is now impacting at radio and at digital retail. To celebrate the impending release of the new LP, Shane’ hitting the stage a few times throughout March, with star turns at the Port Fairy Folk Festival (on March 12 and 13), the Moomba Festival in Melbourne (March 11) and at the Brunswick Street Music Festival, also in Melbourne (March 24). Look for ‘Bad Machines’ in the shops from Friday March 25.